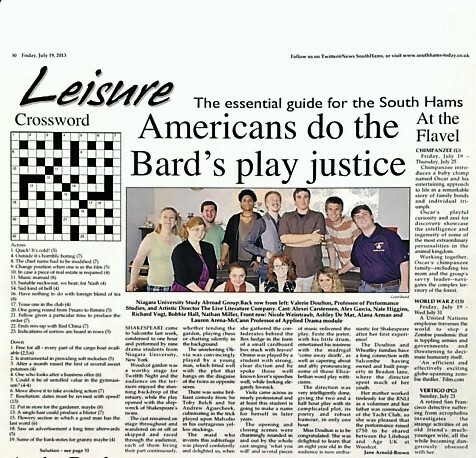 Courtesy of the editor of the Gloucestershire Echo. 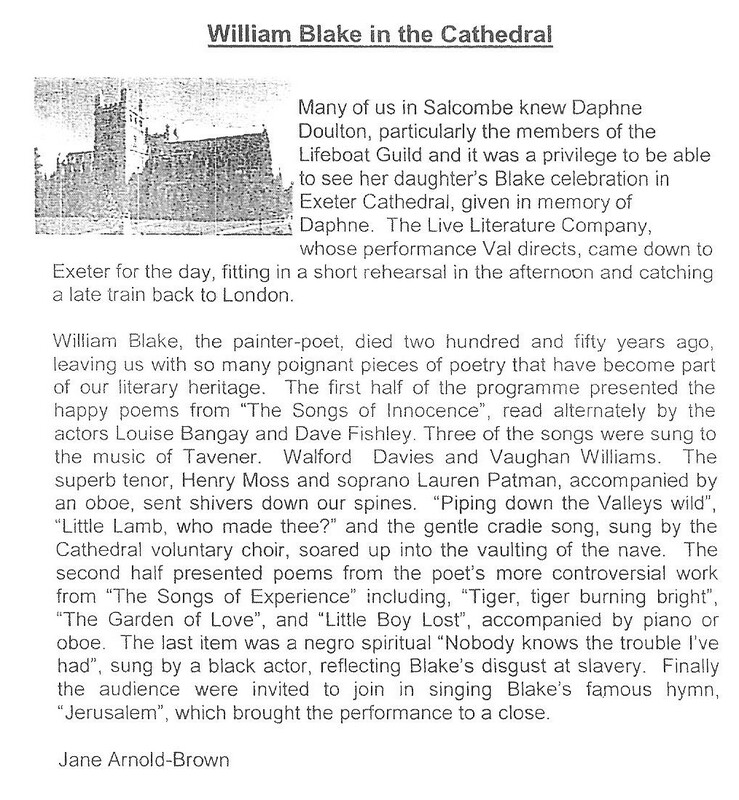 Exeter Cathedral combined arts performance of Songs of Innocence and Experience in celebration of the 250th anniversary of Blake's birth. Letter of appreciation for our performance of Songs of Innocence and Experience at The National Portrait Gallery, London. 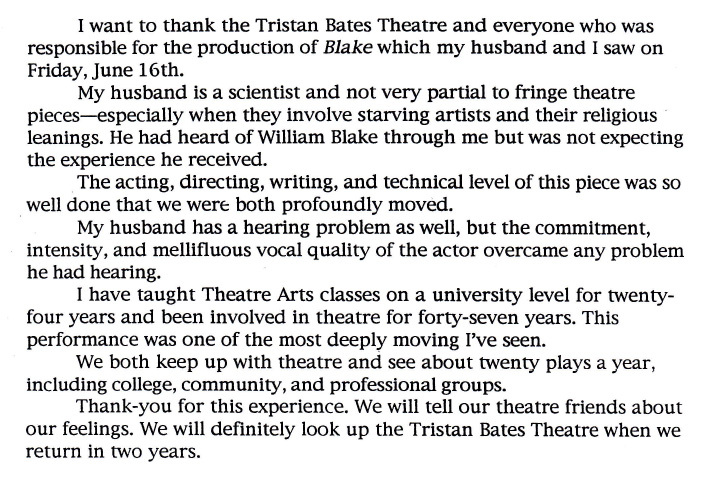 Letter of Appreciation about Val's production of Blake by Elliot Hayes at the Tristan Bates Theatre, London. 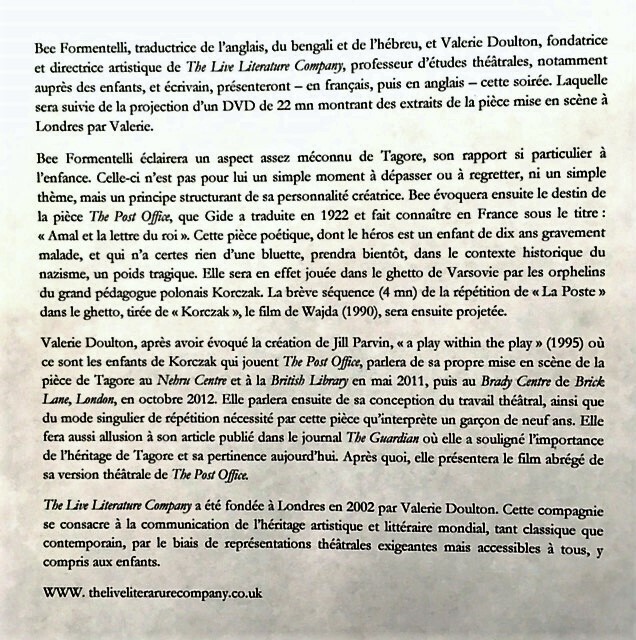 Letter of appreciation for Val's production of Blake by Eliot Hayes performed at The Actors' Centre, London. 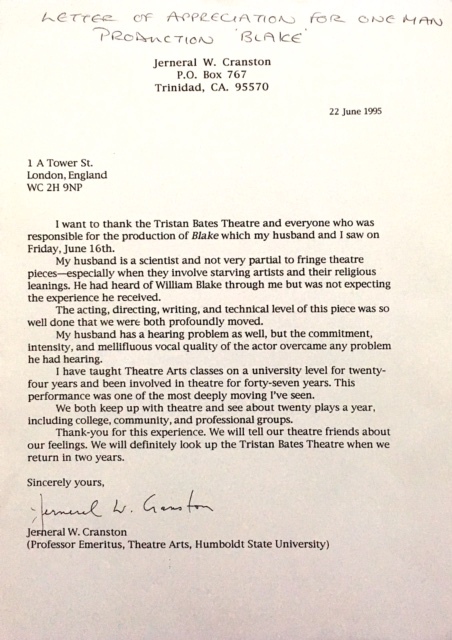 From American Professor - Jerneral W. Cranston. 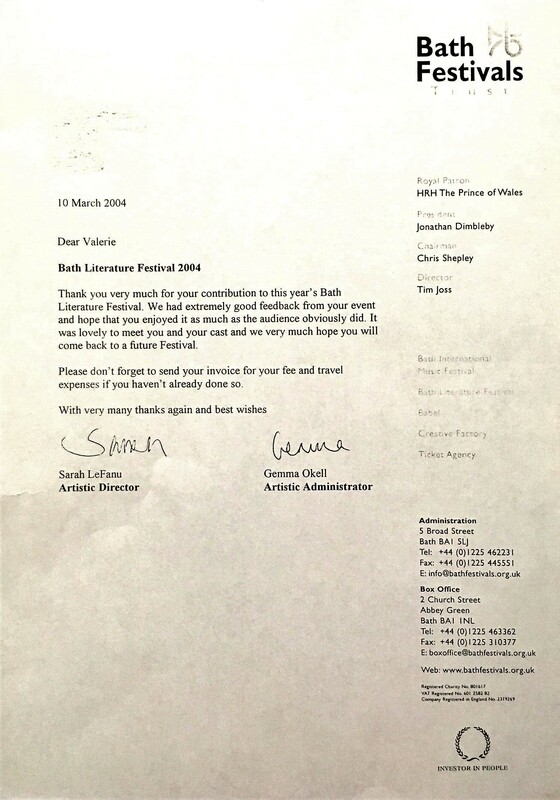 Letter of appreciation for Val's production of Charlotte, Emily, and Anne by Douglas Verrall at The Bath Literature Festival. 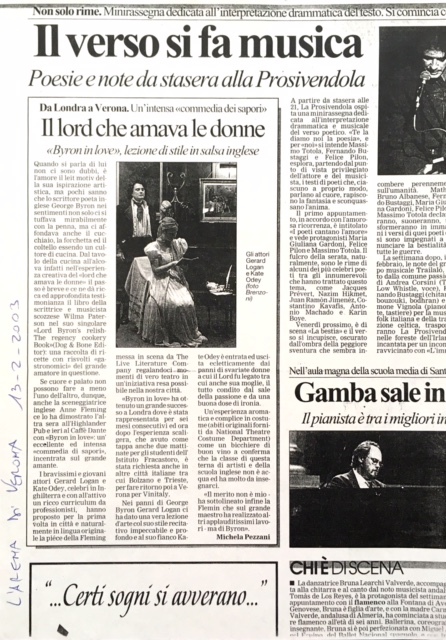 Review of Byron in Love, performances on tour to Verona, Italy. 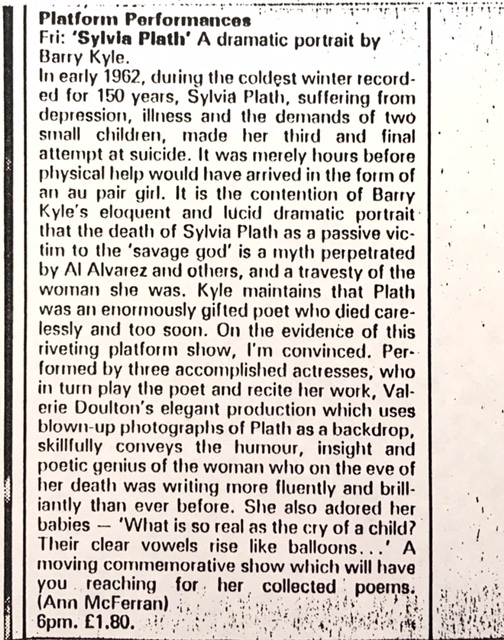 Val's production of 'Sylvia Plath' A dramatic portrait by Barry Kyle, at The National Theatre - Time Out Magazine review. 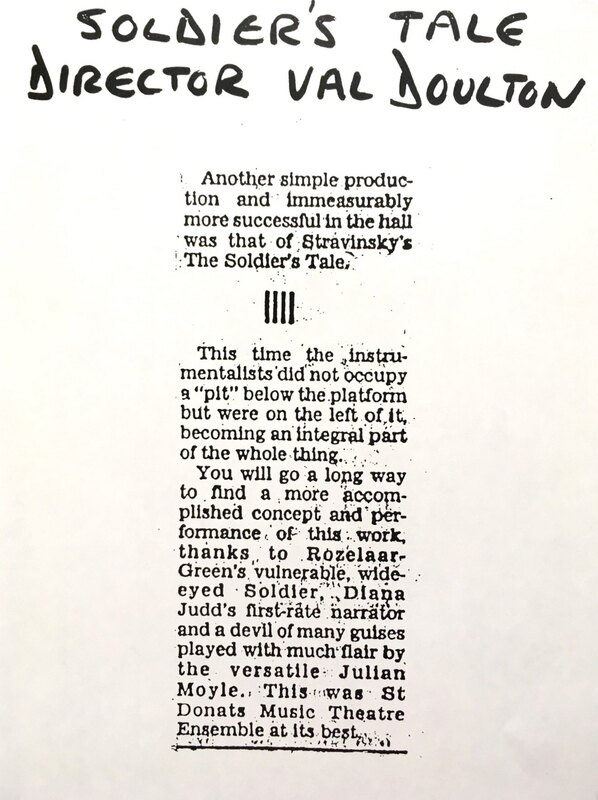 Val's production of Soldier's Tale by Stravinsky for St David's Hall and tour of Wales. 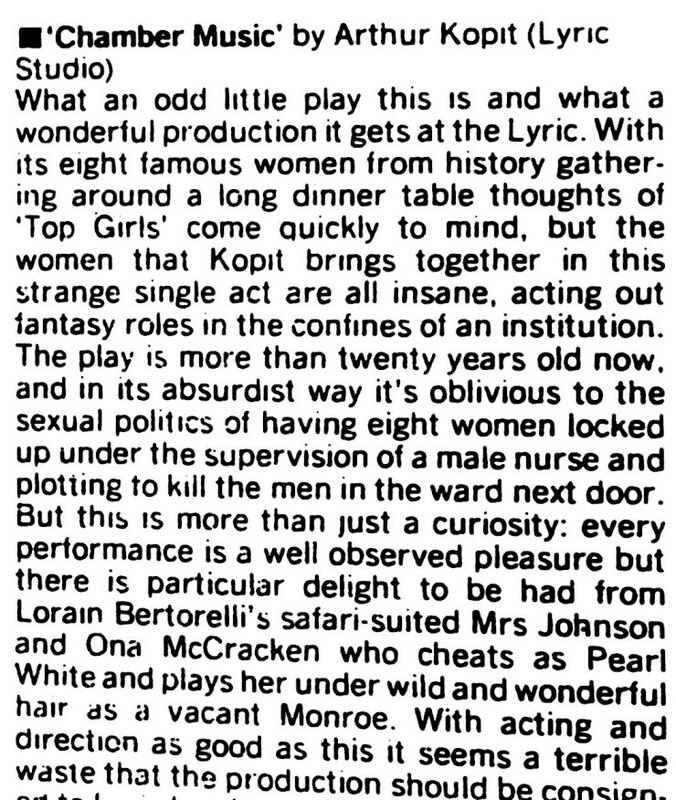 Left: Val's production of Chamber Music by Arthur Kopit at The Lyric, Hammersmith - Time Out review. 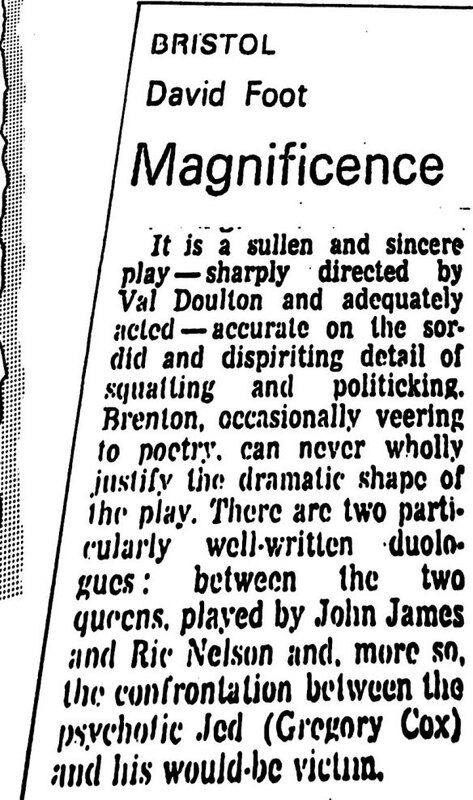 Right: Val's production of Cathleen Ni Houlihan by Yeats - The Stage review. 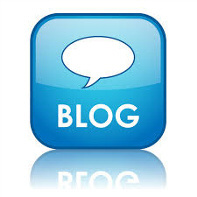 Review of Val's production of Twelfth Night performed by Niagara University students. 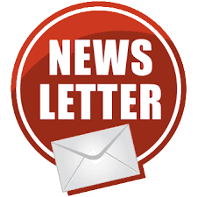 Review of Val's production of Uncle Vanya, performed by students of the Manchester Polytechnic School of Theatre. Review of Val's production of Howard Brenton's Magnificence, performed by Bristol Old Vic Theatre School students.